Welcome to the JVNP 2.0 Weekend Update featuring a primary JV request courtesy of fellow JVNP 2.0 Partners Joshua Zamora + Radu Hahaianu (Seamless SEO – search engine optimization WP plugin – JVZoo affiliate program JV invite), Buzz Builders and More … in Today’s optimize your affiliate commissions, SEO seamlessly edition. 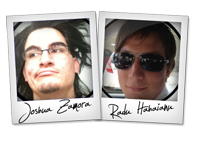 Fellow JVNP 2.0 Partner, Joshua Zamora and Radu Hahaianu are excited to bring you an extremely high-quality SEO product on April 14th, at 11:00 AM EST. => Visit the Seamless SEO JV page here. , you know they convert extremely well AND they take great care of your customers. Great Customer support is their top priority! Seamless SEO is an all-in-one solution for on page Optimization. – Give them an SEO score so they know how well they’re optimized. – Give them suggestions to improve their optimization. – Easily allow them to add Google authorship to their site without having to mess with any code . => Visit the Seamless SEO affiliate page and grab your links and tools today. Earn $159 per sale with $300 commission back-end, proven and tested to convert. High EPCs $6. The Freedom Formula Coaching Program reveals the strategy of how super affiliates and gurus use to make millions. A premier program by Patric Chan, one of Clickbank’s top sellers. Sign up now to participate. Eric Holmlund, Paul Counts + Jeff Wellman, Ric Thompson, Chris X, John Pearce, Christian Fea, Greg Jacobs, Matt Wolfe and other fellow JVNotifyPro 2.0 partners are waiting in the wings … keep your eyes on your Inbox, and follow the action in the JVNP 2.0 Premium VIP JV Announcement archives.